After a short stay in London to say goodbye to our good friends, Jacqui & Trent and their kids, Summer and Martin we prepped the bike for its flight to Africa. 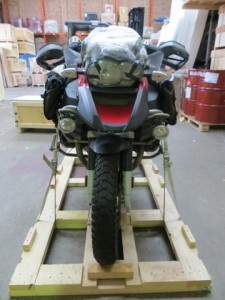 We arrived safely on December 6; unfortunately the bike didn’t leave on time and was then off loaded in Jeddah for a couple of days. 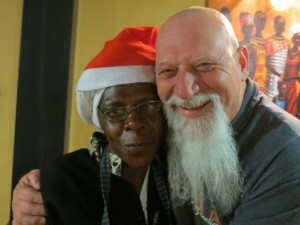 To fill in our time in Johannesburg we took a trip to Soweto. This region of 5 million people is steeped in history. 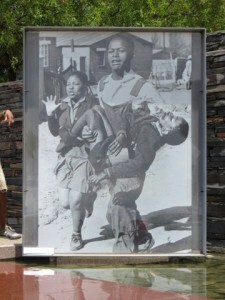 It was here that the uprising of 1976 turned the world’s attention to the appalling circumstances of the black population under apartheid. 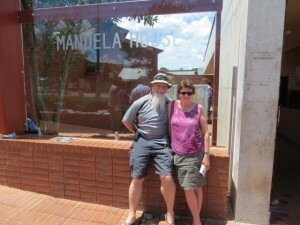 It was here that Nelson Mandela called home before his arrest and imprisonment. Today that modest home is a museum. Further down the street Archbishop Desmond Tutu still has a home. This is the only street in the world to be home to two Nobel Peace Prize winners! Finally reunited with the bike we said goodbye to the marvellous people at the Aero Guest Lodge who kept us sane while we waited for the bike and hit the road. 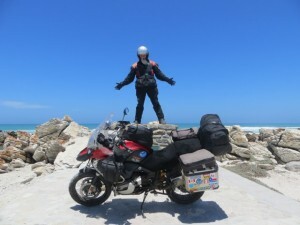 We rode through the centre of Kwazulu-Natal province to Durban and the coast. 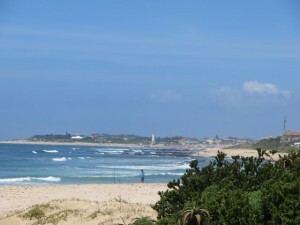 We spent several days riding along the Hibiscus Coast, the Wild Coast and the Sunshine Coast. The roads that hugged the coast gave us amazing views. 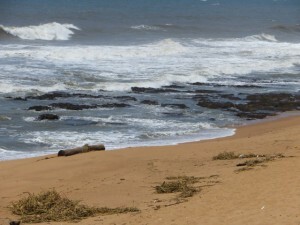 The scenery was spectacular and the beaches looked inviting. 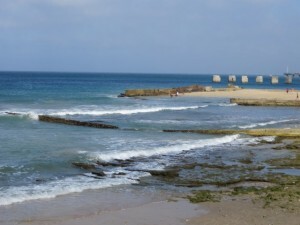 The thought of the great white sharks that inhabit these waters was a little off-putting. 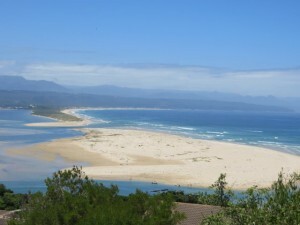 Then we hit the Garden Route – probably the most famous road in South Africa. The wow factor was high! 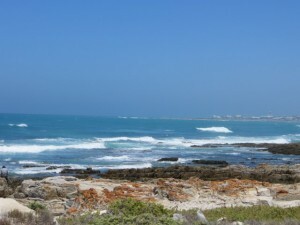 Further around the coast was Cape Agulhas – where the Indian and Atlantic Oceans meet. There is a marker which Brian felt was the perfect spot for a photo with the bike. On the final run in to Cape Town we stopped at Gansbaai where you can go swimming with the sharks. 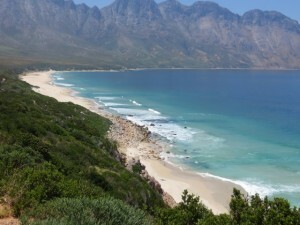 There is also a spot on the cliff where shark watchers spend the day on the lookout for a great white. Two days early a 2.5 metre great white had been spotted close to shore. That didn’t deter the board riders! 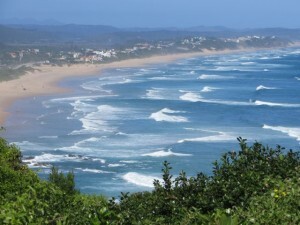 Next stop Cape Town for Christmas. Great trip been following your blog. No problems in Central America unlike myself. Joined Horizons Unlimited and sought travellers for the Central Asia/China trip. Got a group of eight together. We leave UK on the 6th April. We do Europe, Turkey, Georgia, Azerbaijan, Turkemnistan, Uzbekistan, Kyrgyzstan, China, Laos, Vietnam, Cambodia, Thailand, Malaysia and Indonesia. Thank you for your advice to join HU. 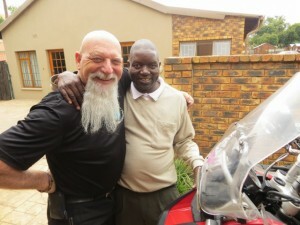 I was wondering if at any time during your travels in South Africa if you ever felt that your security was compromised? 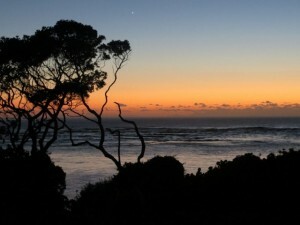 Good to read your update & spectacular photos looks great .